Did you know that property owners, like you, in Dufferin Local Service District (LSD) receive their building inspection and planning services through the Southwest New Brunswick Service Commission (SNBSC)? 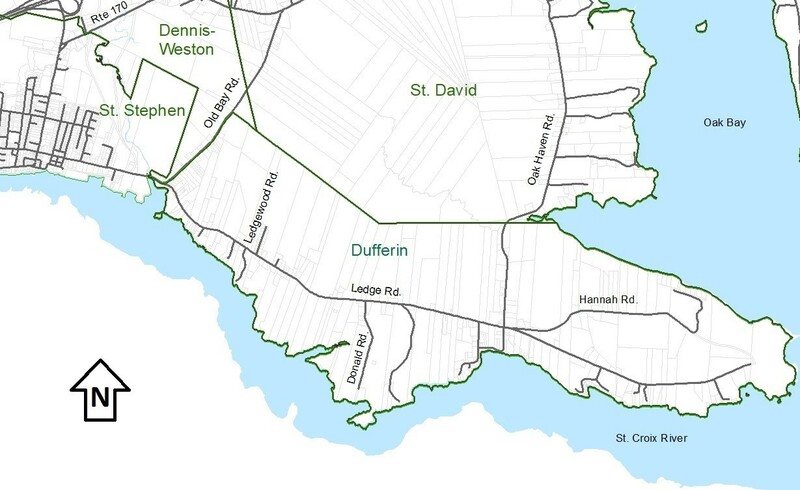 Did you also know that Dufferin LSD is able to have its own rural plan much like the neighbouring St. David or Bayside LSD? This informational survey is being sent to property owners in your community to gauge interest in having a rural plan. What is a Rural Plan? A Rural Plan is a land use planning tool that helps each community set goals and strategies about how it will grow and develop. It balances the interests of individual property owners with the wider interests and objectives of the whole community. The objectives outlined in a rural plan are the goals of the community. They are a vision of where the community wants to see itself in the future. Some objectives may deal with preserving rural character, others with promoting orderly economic growth, and still others with protecting the environment. Creating a rural plan is a participatory process involving the whole community and facilitated by the professional planning staff at the SNBSC. - Establish formal public consultation opportunities for a community on proposed land use changes to the area. - Work retroactively – anything non-conforming under new rural plan becomes grand-fathered. How is a Rural Plan developed? Working with Dufferin’s LSD Advisory Committee members, a planner from the Southwest New Brunswick Service Commission will prepare a background research report and draft a rural plan for the Minister of Environment and Local Government to consider adopting. This is only after a public hearing takes place in accordance with Provincial legislation. All community members of Dufferin will be encouraged to participate in the process long before this public hearing and to help inform the creation of a rural plan. * 1. What is your relationship to Dufferin LSD? * 2. What do you value about living, working, doing business or owning property in Dufferin LSD? * 3. Do you think it is important for Dufferin LSD to have a Rural Plan? Why or why not? * 4. If you'd like updates or to be involved in a potential working group you can provide your email or another way to be contacted.